First things first. Who is Elizabeth Grant? “ Elizabeth Grant was born in London, England. She has lived in England, Scotland, South Africa, Monte Carlo and Canada. Elizabeth established her company, Elizabeth Grant Int. Inc in 1958 in London, England at a time when it was most unusual for women to be in business. Through sheer determination and exceptional perseverance, she was responsible for the development of the company from a home-based business to a multi-million dollar global corporation. Elizabeth did not always have the flawless skin she has today. Her skin was damaged during the Second World War. She used to walk around with dark glasses and tried to avoid people because of how self-conscious she felt about her appearance. All that changed in 1948 when Elizabeth read about a substance that was being used to treat war wounds. After having this made up for her, Elizabeth noticed that within 8 months her skin started to show signs of a remarkable improvement. The glasses came off and she started living again! 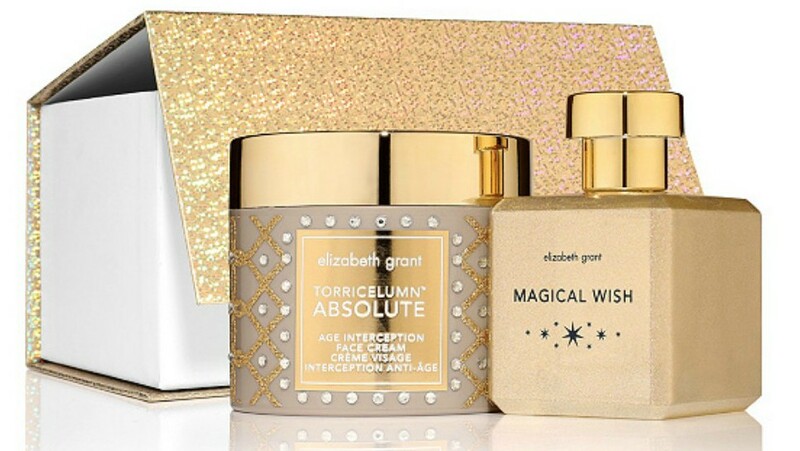 Elizabeth Grant Torricelumn Absolute Age Interception Face Cream(valued at $300) and her beautiful Magical Wish Eau de Parfum(valued at $85) which I’ve been enjoying is absolutely lovely. The Torricelumn Absolute Age Interception Face Cream is suitable for all skin types and can help address the five signs of ageing: lines and wrinkles, dryness, uneven skin tone, dullness, and saggy skin. This powerful cream quickly absorbs to help renew the skin’s natural resilience against the damage we don’t see and helps infuse the epidermal layers of skin with a look of rejuvenation and radiance. The results are exceptional. Torricelumn™ Absolute Age Interception Face Cream helps transform the skin’s dull, lacklustre and tired appearance to that of ageless beauty. 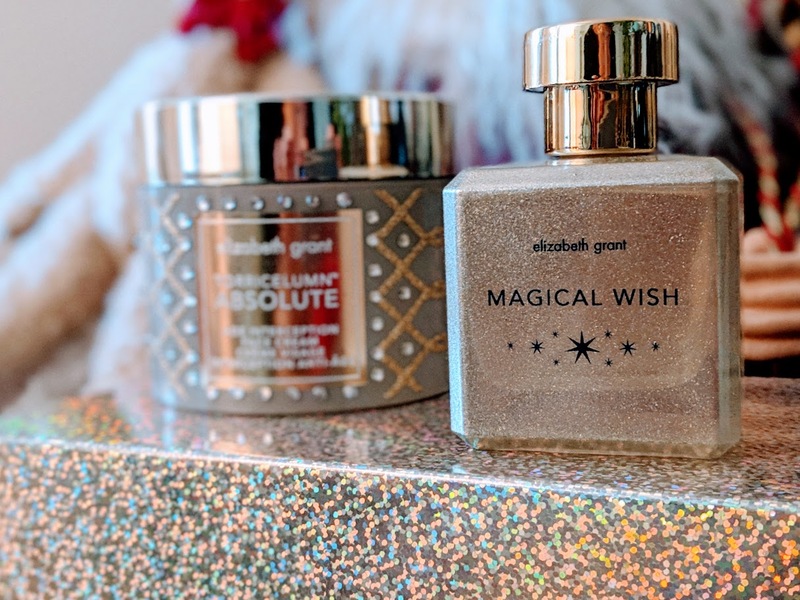 Magical Wish is one my new favourite scents. Pear, blackcurrant, Chinese gooseberry and Acacia flower are the inspiring top notes, pushing you to conquer new heights in the scent’s warm delights. Strong and comforting notes of vanilla and amber round out the base, reminding you that there is a strength in comfort, and marvel to be found at the moment. Magical Wish gives you the confidence to follow your dreams. 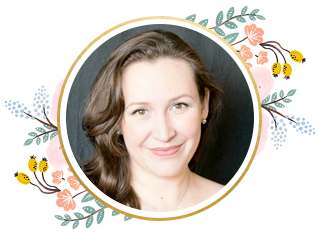 Elizabeth Grant is generously offering the above gift set to one lucky winner! Head to her site as well for some amazing deals and enter below to win this beautiful set. The contest is Canadian Only(excluding Quebec), 1 entry per household, 18+ yrs to enter. Giveaway ends, Dec.9, 2018. Don’t forget to check out my ther giveaways if you’re new here. Disclosure: This post was in collaboration with Elizabeth Grant. In exchange for this post, I have received perks in the form of products and/or compensation. All opinions on this blog are always my own. Magical Wish sounds like my type of fragrance! The body cream is also very good! Ooooh these sound wonderful! I would also love to try the Hand and Foot Cream and the Beautiful Colours Lip Stain Trio, she has so many nice items! I’d love to try the Vanilla Body Cream and the Collagen Advanced Triple Strength Concentrate. I’m an Elizabeth Grant fan (via TSC). I have sensitive skin and I’ve yet to try a product of theirs that I react badly to. I have used Elizabeth Grant products and am always happy with the results. They have a lovely product line. The notes in the perfume sound really nice. Another product I would like to try is the Flower Power Bath and Shower Gel. This cream sounds fantastic! I would also like to try the Elizabeth Grant Beautiful Angel EDP. Thank you for the giveaway. This would make such a beautiful gift! I have never tried any of the Elizabeth Grant products but would love to gift my mom with theCollagen Advanced Triple Strength Concentrate Hand and Foot Cream. I have never used any Elizabeth Grant products. I would love a new face cream though. I think the Flower Power Bath and Shower Gel would be amazing. I love the holiday packaging! Oh, how my skin needs this product! Thanks! This is exciting ! Id love to try these products ! I would really love the Flower Power Bath and Shower Gel, I love being pampered! Merry Christmas to ME! Great giveaway! I love the sounds of this scent – something I would love, im sure! I have never tried the Elizabeth Grant products but I would love to! Wow the packaging is beautiful! would love to try this package! I bet the fragrance with the pear and vanilla smell amazing! My mother would love to try out this face cream. I would be thrilled to try the Vanilla Body Cream and the Collagen Advanced Triple Strength Concentrate. It sounds wonderful and with dry winter skin I could use it! thanks so much! The Green Power C Hydrating Cleanser is a product I’d like to try! I’d like to try out the Green Power C Hydrating Cleanser. I would like to try the vanilla hand cream, so many great products to chose from though makes it hard! Oh I’d love to try the Supreme Cell Vitality eye Pads! I have not tried these products yet but the The Torricelumn Absolute Age Interception Face Cream sounds so good! Elizabeth Grant is a name I grew up with but I have never tried her products.